it’s a new year, so it’s that time again: time to take a look back at all the games i played in 2014. 2014 was different from 2013 in several ways. i ended up playing many more games on a console than a handheld, and i also ended up playing more older games than last year. in 2013 i played the most games on 3DS, 3DS downloads, and the original game boy, but this past year i ended up playing the most games on NES, wiiware, and wii u. perhaps part of the reason i ended up playing more NES games (and thus more console games) is that they were ideal for when i was looking for a short game to play, in order to keep up my usual one-post-a-week pace. not sure that i ended up cutting back on game time overall, though, what with pouring insane amounts of time into certain games, in particular pokemon Y (i also need to give a shout-out to the streetpass mii plaza games, which i’ve played regularly throughout the year–i finally got all the hats in find mii, and made it to the end of the mansion game. whoo! although the last four flowers in the flower game continue to elude me…). speaking of which, as with the last couple of years, i ended up with only a handful of the games i played making it into my “greatest games of all time” list. what was noteworthy this year, though, is that two of the games i inducted were ones i had played (and blogged about) before: the solid and now classic gameplay of wii sports became more apparent to me the second time around (and i found the boxing modes to be much more enjoyable than i’d originally thought), and its significance continues to be felt today; and the way that the barrier to EV training became lowered in pokemon X and Y to such an extent that even i could get interested (and hooked) makes it apparent to me that this was one of the most significant “evolutions” in the series’ long history (as a side note i also caught my first shinies this year: 4 of them actually! w00t!). other noteworthy “achievements” included finally getting over the hump of warioware D.I.Y., which meant i could then wrap up and post my ranking of the warioware series. and although i did play a ton of sequels, i did finally play through a game on my thoroughly neglected PS3, the unfinished swan, which was highly enjoyable. i also dusted off an old TV in order to play the original duck hunt with an original NES zapper. the game has recently been re-released on wii u’s virtual console, but it was wholly satisfying to play it in all its original light-gun glory. in terms of looking forward to this year, i didn’t finish playing games in series i’ve completely neglected, such as the phoenix wright and professor layton series, but i’ve made some definite progress and will have more to report on that soon. i’m hoping to be a little better about staying up to date with current releases, and to be better about finishing games that i’m halfway through (and not continually adding to the mountain of games i have to play). my most anticipated game of 2015 is still SMT x FE, although i’m concerned about its future since it hasn’t been mentioned at all since its initial reveal almost two years ago, and i’m still holding out hope we’ll get a new metroid this year. that about wraps it up. as always, thanks as always to anyone who’s stumbled across my little patch of cyberspace and found it even mildly diverting, and welcome to another full year of rockin’ video games at video games rock! about a month ago i finished the last three warioware games in the series, so it’s time to look back at the entire series and post my ranking. at nine entries the franchise is clearly at a lower tier compared to nintendo’s core series, like the mario, zelda, and metroid series, and looking over the list although the series started out extremely strong (its debut in the spring of 2003 was a jolt of originality and the manic “microgame” formula still holds up today), it’s sort of scraped along for the past few years. several of the more-recent titles could be considered to be offshoots as opposed to evolutions, and you could argue that there hasn’t been a true core warioware title since wii’s smooth moves (released 8 years ago), but in any case i’m still holding out hope that the series will rediscover itself before too much time goes by. in the meantime, it’s nice to be able to celebrate all that it has accomplished. Nintendojo (90): It may be over quick, but it’s got the sort of staying power and pick-up-and-play appeal that’ll keep you coming back whenever you get tired of the latest games. It’s the perfect title for anyone who craves addictive, fast-paced action or just something different from the status quo. IGN (90): There’s no way you’ll see everything on the first time through. This game is amazingly fun, incredibly funny, and a really intense gaming experience in the later levels. Eurogamer (90): If variety is the spice of life, then Wario Ware is the digital equivalent of Phall curry, burning the inside of your face with its charm and originality. GameSpot (88): The spin sensor feels less like a gimmick and more like a tightly integrated feature that makes the entire game feel inventive and unique. Nintendojo (87): A must own title for your Game Boy Advance. It’s the perfect traveling game even though the story mode is over quickly. NintendoWorldReport (85): Variety is king in WarioWare, and while the game does not contain an absurd amount of pointless unlockables, or a true high-score mode for individual games, it is still a ton of fun. PALGN (80): An excellent addition to the Wario Ware series and the ideal game to show what the Wii can do. Its lifespan may be a little on the short side but there’s definitely enough enjoyment here for your money. 1UP (83): Creativity often thrives under the most severe limitations, and those who relish the opportunity to entertain others (or even just themselves) in videogame form will love WarioWare D.I.Y. It provides a detailed yet streamlined mechanism for creativity, meaning the challenge is in coming up with creative ideas rather than wrestling with the interface. PALGN (80): But my biggest problem with the game is really just the slight lack of craziness that I’ve come to expect from Wario Ware. 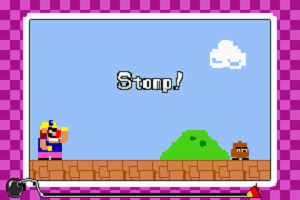 I rarely laugh out loud at a game, but the original Wario Ware provided me with much humour with its general wackiness. GameBiz (77): Unless you’ve never played the first Wario Ware or are going to take full advantage of the multiplayer aspects, there isn’t really too much new for you here. IGN (75): The fact that the vast majority of minigames in this GameCube title heralds from the GBA is a huge disappointment. But even if you haven’t played the GBA game, know that the single-player setup that worked so beautifully on the Game Boy Advance doesn’t translate well to the GameCube. Vandal Online (75): Its real potential resides in its connectivity with the Nintendo DS version. That is the real showcase. Eurogamer (70): Still, if you fancy a means of enjoying the unhinged insanity of user-created microgames on the big screen, Showcase is a worthy purchase. ZTGD (60): Game & Wario is disappointing mainly because the heart of the series feels stripped out, and in its place is a collection of mostly uninspired minigames. I really wanted to see Nintendo take advantage of the Gamepad in unique ways, not just have me tilt to steer. Eurogamer Italy (60) Even though some games are funny, Game & Wario loses most of the appeal of its predecessors proposing just a bunch of “not-so-special” games. 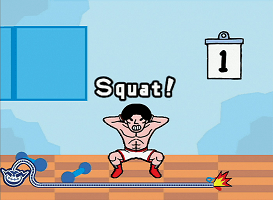 Cheat Code Central (50): It’s a WarioWare game and it works with a camera, so it may pique your interest at first. However, it’s very short, it won’t let you save your goofy pictures or videos, and it’s tough to make it work! Eurogamer (50) It’s fun for as long as it lasts. i recently finished my last remaining zelda game (of 17! ), and so that means it’s time for my ranking of the entire series. this time around for the companion ranking i’ve decided to include nintendo power’s list, although since they’ve shut down i don’t have a ranking for the most recent game in the series, a link between worlds (they also didn’t include a separate rank for the original four swords game). also, although they did a ranking right before spirit tracks came out, i’ll be using the order and text from the the top 285 games list that appeared in their final issue. in the few cases where they didn’t include a text blurb in that issue, i’ll revert to using text from the older list. let the legendary zelda ranking begin! the legend of zelda: majora’s mask (N64): the zelda series is full of standouts, but in the end i have to give majora’s mask the top spot. although the original entry, link to the past, and ocarina are all great and each did much to really define the series, majora’s mask was just so full of memorable moments. i found its off-kilter view of the zelda universe to be utterly compelling, and the 3-day limit, the expansion of the masks in ocarina (including getting to play as completely different characters), and the darker tone were all huge draws. however, the series of sidequests involving helping the NPCs in the central town were what really added a new dimension to feeling connected to the game. it’s a game whose drawbacks (namely, its time-rewind mechanic that often has you repeating whole sections) can hardly put a dent in the overall experience. a game that i’m really hoping gets remade for 3DS by the time i get around to replaying it! The Legend of Zelda: Ocarina of Time (N64): Whereas A Link to the Past perfected the series’s core mechanics and structure, Ocarina of Time added a sense of dramatic scale and cinematic sweep that wasn’t possible in the series’s 2D entries. A spectacularly innovative game, Ocarina of Time pioneered methods for dealing with the control and camera issues that had bedeviled developers of 3D software for years. What’s most impressive is that it managed to navigate the incredibly difficult transition from 2D to 3D while delivering the series’s finest story, most memorable dungeons and a main quest of then-unprecedented length. This is the quintessential entry in what has become gaming’s most critically beloved series. 2 the legend of zelda: link’s awakening (GB): this was one of the first zelda games i played as an adult, and the amount they managed to pack into such a tiny cartridge astounded me. if i had played link to the past first i may have given that preference for my #2 spot, but looking back link’s awakening had not just the puzzles and action of the best of the series, but also a livelier cast, thanks in no small part to the required trading quest, a first for the series. the game also had some surprisingly emotional moments, including a bittersweet ending. it astounds me how much of an impact a handful of black and white pixels and some chiptunes can make. The Legend of Zelda: A Link to the Past (SNES): The Legend of Zelda: A Link to the Past introduced dozens of series mainstays (the Hookshot, the ocarina, heart pieces), but is perhaps more memorable for the degree to which it perfected the satisfying formula of the Zelda series. The game nailed the balance between open-world exploration and scripted storytelling, between familiarity and freshness, and between satisfying challenge and well-paced progression. Its innovative Light World/Dark World concept was one of the most imaginative hooks to a video game ever, and is still being imitated today. 4 the legend of zelda: a link to the past (SNES): like ocarina, my experience with a link to the past was another case where i had played it after a game that succeeded it, so my viewpoint is skewed. although i enjoyed the game and appreciate it for everything that it introduced, its relatively light story and lack of characters made it less memorable to me overall. a high-quality zelda game that holds up even years later, but for me it’s overshadowed by games that did more to tweak the now-classic formula this game established. The Legend of Zelda: Skyward Sword (Wii): Built from the ground up for Wii, Skyward Sword realized the potential of motion controls like few other titles and stood out as one of the console’s most beautiful games. It also boasts some of the best storytelling in the series, as well as our favorite take on the Zelda characters to date. 5 the legend of zelda (NES): the game that started it all. i replayed this a couple of years ago (having played it a ton when i was a kid) and was somewhat relieved to find that for the most part it still held up, despite having aged more than the original mario or perhaps even metroid in terms of having any idea of where to go next. i honestly can’t be very objective about the game since i know it so well, but the gameplay, graphics, sound effects, and controls are all extremely polished and i think the game is still enjoyable today. a classic by every definition. The Legend of Zelda (NES): The Legend of Zelda was a rare NES title inspired not by a specific style of play or setting, but an attempt to capture the thrill of exploration and discovery. It succeeded with aplomb, ushering in a new style of gameplay built more on finding secrets and solving puzzles than on fast-reflex fighting. Beyond standing as a triumph in its own right, many of the creations inspired by the original Legend of Zelda rank among the greatest games ever made. 6 the legend of zelda: spirit tracks (DS): i can’t see why this game gets ignored, even amongst zelda fans. the game improved on phantom hourglass in every way. although it includes the same easy-to-use controls, it also focuses on an underused dual-character mechanic (link and his “phantom” buddy), a train-travelling mechanic that was much more fun than the sailing mechanics of phantom hourglass, and some new items and new baddies. even though it sits at #6 in my list, it’s still one of the best zelda games, and is on my list of greatest games of all time. The Legend of Zelda: Link’s Awakening DX (GBC): Imaginative, emotional, and packed with quirky humor, Link’s Awakening proved that a handheld Zelda could be just as epic as its console counterparts. The DX version for Game Boy Color even managed to improve upon the black-and-white original. 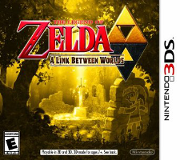 7 the legend of zelda: a link between worlds (3DS): the most recent game in the series, and a sign that the series is still going strong. a game that cribs so closely to its predecessor (in this case, a link to the past) shouldn’t have drawn my attention nearly so much, but the game’s new 3D-to-2D mechanic, freer structure, and silky smooth gameplay were compelling. not to mention new characters including a new villain, hidden tokens (in this case maimais), a first for a handheld zelda title, streetpass battles, and the classic zelda mix of action and puzzles. a game that by its simple description shouldn’t have ranked so high on my list, but as a whole is a great experience, despite being on the easy side. The Legend of Zelda: Twilight Princess (Wii): Gamers around the world exploded with delight when Twilight Princess was unveiled in 2004, and when the game was released as a Wii launch title more than two years later, it lived up to the hype. Once players made it into the meat of the game, they found a huge and stunningly beautiful world to explore, powerfully cinematic event scenes to marvel at, and plenty of well-designed dungeons to take on. 8 the legend of zelda: skyward sword (wii): i’m not quite sure why, but although i generally enjoyed playing skyward sword, looking back there’s not a lot i found really memorable about it. at the time i was struck by how many of the mechanics seemed taken directly from wii sports resort, and the game felt heavily padded. revisiting the same locations with different objectives felt tedious, and there were whole sections that i found much more annoying that fun. in my notes i have this ranked higher than twilight, probably due to being more colorful and being a bit more original, but i’ll have to see which one holds up better on my second playthrough. The Legend of Zelda: Majora’s Mask (N64): An attempt to cash in on the success of Ocarina of Time by banging out a sequel in just over a year shouldn’t have produced a masterpiece of a game. 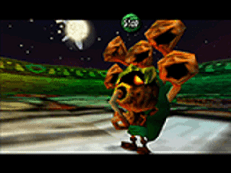 Although Majora’s Mask has less content than most Zelda entries, it features a mind-bendingly brilliant structure that has players repeating the same days over and over to make incremental progress toward averting an apocalypse. It may be the most effective implementation of time travel in gaming. 9 the legend of zelda: twilight princess (wii): the problem with twilight princess isn’t just that it felt like a retread of ocarina, but that it just didn’t seem as flat-out fun as other titles in the series. at the time i played it i had said the game didn’t have “much charm, humor, or surprise”, with the exception of midna who provides the game’s best moments, even more so than zelda herself. despite feeling overly padded in a similar way as skyward sword, the game’s formula of overworld exploration plus tricky dungeons was still a winner, and still puts this above the majority of other games. that said, overall it felt like an average zelda experience to me. The Legend of Zelda: The Minish Cap (GBA): Although Link’s Awakening started things off right, the Legend of Zelda series’s portable installments have rarely been as satisfying as their console brethren. The Minish Cap beat the odds by copying everything that made A Link to the Past great: a colorful 2D world, an exploration-focused structure, cool items, and strong dungeon design. It wasn’t the most innovative Zelda entry, but it was easily one of the most entertaining portable ones. 10 the legend of zelda: oracle of seasons (GBC): the rest of the list is generally ranked by how much the games follow the standard formula. the season-changing mechanics of oracle of seasons were entertaining although not that much of a hook, but the animal helpers and the reworking of elements from the original NES title along with a very polished zelda experience overall made this a more worthwhile entry than some of the others in the series, and distinctly superior to oracle of ages. Zelda II: The Adventure of Link (NES): … With side-scrolling combat and an RPG-style world map, Zelda II is a radical departure from the series that some fans call a refreshing change of pace and others consider an outcast. The game cuts down on puzzle solving to focus heavily on action, and it’s the most difficult Zelda game by far. Even the most basic enemies are tough, and once you’re out of lives and have to continue, Link is sent all the way back to where the game starts! Urg! Frustration aside, Zelda II debuted Link’s iconic downward-thrust attack, introduced magic to the series, and remains the only title where Link can earn experience and level up. 11 the legend of zelda: phantom hourglass (DS): while in many ways it improved on wind waker, phantom hourglass really lacked originality. aside from the new touchscreen controls, which worked great, the game felt like a dumbing down of the zelda experience in a way that spirit tracks didn’t. the game didn’t introduce any new items and dungeons felt uninspired. still, the game was enjoyable overall, even if it’s not among the best in the series. The Legend of Zelda: Oracle of Seasons (GBC) and The Legend of Zelda: Oracle of Ages (GBC): Although Oracle of Seasons and Oracle of Ages are each full, distinct games, they were released as a set and certain items can be traded between them via a password feature. These Game Boy Color standouts are classic Zelda adventures, but contain totally unique elements. For instance, you can equip different rings to customize Link’s abilities… and you can use animals to help Link in different ways… We give a slight nod to Oracle of Seasons over its brother because of its titular hook — being able to switch between spring, summer, winter, and fall — is like having four versions of the world to explore and makes for cooler puzzles. The ability to travel between past and present in Oracle of Ages is fun, but A Link to the Past did this kind of thing first — and best — with its Light World/Dark World setup. 13 the legend of zelda: the minish cap (GBA): the minish cap was a cute game and looked great on the GBA, but it was short and pretty easy. 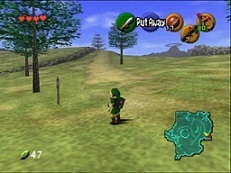 despite a potentially interesting dual world mechanic (in this case, link can shrink down to the size of a bug), the game itself follows the standard formula without much variation. not one of the more memorable games in the series. The Legend of Zelda: Four Swords Adventures (GCN): Four Swords Adventures isn’t a typical Zelda game; the adventure is split into various stages and works best with multiple players. Despite those differences, however, the onscreen action is classic Zelda. 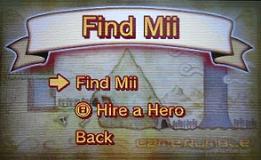 The game is also noteworthy for being the last 2-D console entry in the series, and it enhances the visual style establish in A Link to the Past with the extra power of the GameCube… Up to four players can help or hinder each other during the quest… The game really loses something when played solo, however. 14 the legend of zelda: oracle of ages (GBC): although a lot of people seem to consider oracle of ages about on par with oracle of seasons, i much preferred the latter which had a more interesting hook. as NP mentioned, the dark world/light world mechanic of oracle of ages just felt tired, and coming near the end of my zelda saga there just wasn’t anything about this game that really grabbed me. we’ll have to see how my opinion changes on the second time through. The Legend of Zelda: Phantom Hourglass (DS): This [game] proves why the Nintendo DS is a great home for The Legend of Zelda. Stylus controls make the familiar Zelda action feel fresh again by adding fun interactions and abilities to traditional weapons like the boomerang and bow. It’s a drag, however, that Link’s inventory is smaller than usual. The game’s biggest drawback is its central feature: that you have to return to the Temple of the Ocean King over and over, exploring its depths a little more each time. Too much backtracking is required, and if you put the game down for a few days, it’s hard to remember the paths you’ve already discovered. Sailing isn’t as tedious as it is in The Wind Waker, however, and exploring new areas of the ocean adds to the game’s fun sense of adventure. well, there it is. the zelda series stands as a titan among video game series, and i’m def. looking forward to revisiting old favorites and, of course, hoping to hear about new entries in the future. huge kudos for all the game developers who have been involved with the series over the years, and here’s to many more! my 2013 ended up being very similar to 2012 in that i was able to finish about a game a week and spent more time on first-party nintendo games and games on handhelds than anything else. this past year i also played more sequels than 2012, which altogether basically means i didn’t really branch out much, although on the plus side i did finish the brain age series, yoshi series, and the main entries in the pokemon series, as well as kept up with other series that saw major releases this year, such as animal crossing. this marks the first year that i finished a game on wii u and wii u ware. the latter occurred in the last weeks of the year and helped save my “greatest games of all time” list which looked like it was dangerously close to having zero new entries this year. i also played my first neo geo AES game. my most-played platform tends to be the DS, but this year 3DSware won out, and that doesn’t even include games available on 3DS’s virtual console. 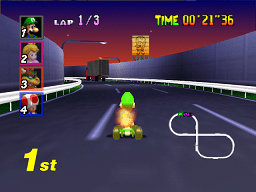 this year i compiled three lists: a look at my 10-year-old nephew’s favorite games to play on wii over wi-fi, and rankings for the mario kart series and the yoshi series. last year i had hoped to decrease my backlog, which definitely didn’t happen. hopefully this year i’ll be able to finish some of the mountain of games i’ve started, some of which i’m actually quite close to finishing, and spend more time playing non-handheld games. i’m looking forward to finally finishing the zelda series (one entry to go!) and getting caught up with some of the mario games i’ve ignored, as well as digging into series i’ve only dipped into so far, such as shin megami tensei. i’m also planning on returning to series i’ve been ignoring, such as the phoenix wright and professor layton series. this is all assuming, of course, that the new smash bros. doesn’t completely eat my soul when it releases, along with upcoming games i’m looking forward to (highest on my list being SMT x FE, the crossover with the shin megami tensei series: my love for fire emblem continues despite awakening which i found to be disappointing due to its unlimited levelling), as well as any new game that hasn’t been announced yet (nintendo, please, please announce a new metroid for this year!). as always, thanks as always to anyone who’s stumbled across my little patch of cyberspace and found it even mildly diverting, and welcome to another full year of rockin’ video games at video games rock! it’s been a while since i’ve done a series ranking, so i thought i’d review the main yoshi series. it only consists of five entries, two of which have unusual control schemes, and three of which consist of unusual structures, but i finished the series not too long ago and i should probably write this up before the two new entries yarn yoshi for wii u and yoshi’s new island for 3DS come out next year. i wasn’t able to find anyone who’d beaten all five entries, so i’m on my own for this one. a-here we go! 1) it should come as no surprise to anyone that at the top of the list is super mario world 2: yoshi’s island originally released on SNES. the game is a frequent member of “best games of all time” lists and has a firm place on my list as well, for good reason. the game improved on super mario world and offered up several new game mechanics (carrying babies, swallowing enemies, and throwing eggs), a previously seen character in his/its first substantial role, a wholly satisfying amount of variety, fun enemies, memorable bosses, tons of collectibles for completionists, and a distinctive art style. unlike other games in the series, this entry hit that ideal sweet spot where it wasn’t too easy but also wasn’t frustratingly difficult. a well-loved classic, and the only contender for the top spot of this list. 2) next on my list is yoshi touch & go. 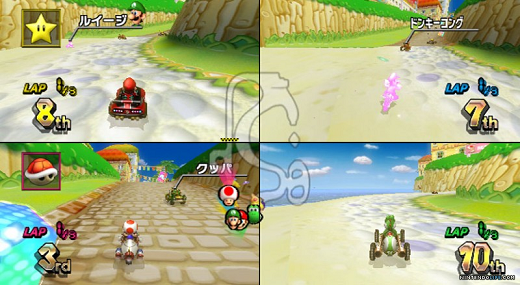 released as part of DS’s launch, the game uses the DS’s unique touchscreen and microphone controls. i played it much more recently, though, and the game is very enjoyable even now that the novelty of the DS’s controls has been lost. 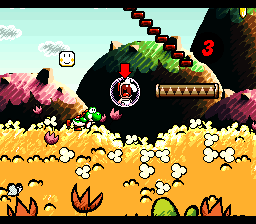 the game combines two distinct experiences, one featuring baby mario falling from the sky and the second, more-substantial section featuring yoshi in his usual role of babysitter. against the odds, the game successfully pulls off the feat of fitting a platformer into an arcade (i.e. high-score chasing) style game, and although it includes all the modes you’d expect (score attack, time attack, etc. ), each has a different feel. the controls feel good, and the game is easy to get into but takes time to master. it’s a worthwhile challenge to top all the default high scores, and this was a surprisingly fun experience and a definite highlight for the series. 3) in third i would have to put yoshi’s island DS. the game was the first true sequel to yoshi’s island, and although many felt it suffered in comparison in every way, i enjoyed it overall. it cribs too much from the original, although the addition of multiple babies other than baby mario does give the game a unique twist. the dual screens are not used very well and the difficulty in the last stages is more frustrating than fun (mostly because checkpoints become much harder to come by). the game isn’t a classic for the ages, but it has its moments and definitely ranks higher than the other two remaining entries in the series. 4) in a distant fourth is yoshi’s story for the N64. like yoshi’s island DS, yoshi’s story suffers when being compared to the original, yoshi’s island, and upset many fans when it was first released for what appeared to be an extremely short length given its high price. for those who looked closer it became apparent that although, yes, you could beat the game very quickly, to experience the full game you’d have to beat the game at least four times, and it would almost certainly take players more attempts than that since to gain access to all the stages you have to track down “special hearts” hidden in previous levels. the game feels like an early attempt by nintendo to offer up an experience that could be both easy and more challenging, and it achieves that by allowing the user to choose among available levels. this unique mechanic is memorable and there is some platforming fun to be had overall (not to mention a new take on the storybook art style of the original), but even aside from being misunderstood by the majority of people who played it ultimately the game fails to provide the thrills of the best of the genre. 5) at the bottom of the list is yoshi topsy-turvy for the GBA. 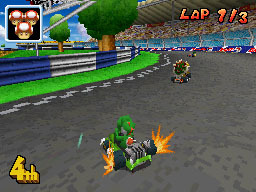 along with the novel motion controls (achieved by the cartridge’s built-in accelerometer), the game was unique in that it was mission oriented (e.g. collect a certain number of coins, defeat a certain number of enemies, etc.). although the controls may have been amazing for the time, i found them to be more annoying than fun, and the game was too reliant on its mission-based structure to sustain the player’s interest as opposed to all the things that make a platformer really fun and enjoyable. definitely the low point in the series’ history. so that’s the list! 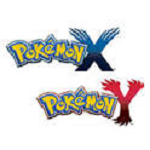 the series has managed to pack in a lot of variety into just a few entries, and although it’s had more downs than ups i’m hopeful that the next two entries will elevate this series’ reputation. here’s hoping! and to end, here’s a classic yoshi comic from nintendo power. yoshi yoshi!